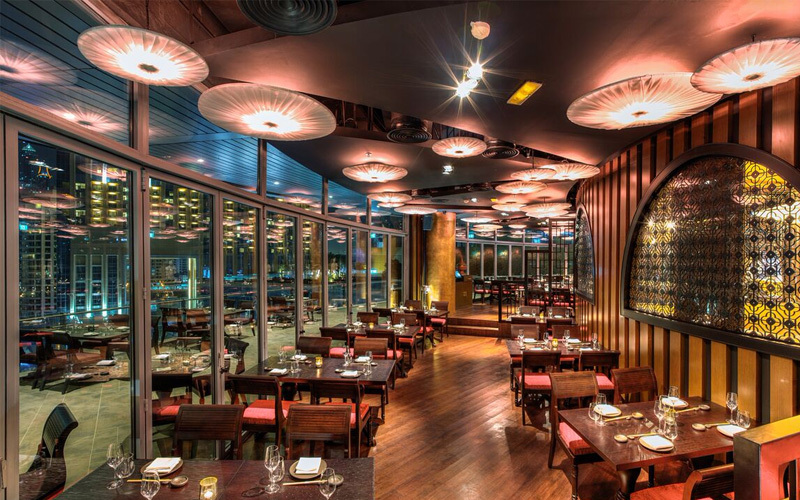 Asia Asia describes itself as “inspired by the ancient Spice Route from Asia Minor to the Far East.” The menus and the restaurants weekly offers (‘Sushi Saturdays’ and ‘Go Geisha Ladies Night’) however all pertain more towards the Far East rather than Asia Minor. The restaurant’s impressive interior also veers in the same direction: there’s fantastic giant Chinese Guardian lion statues, silk dragon embroidered cushions and Buddha statues. Much like the restaurant’s other offers, its brunch leans heavily towards the Far East; and in particular, seafood. There’s a great a la carte brunch menu on offer, with all courses served fresh to the table. Highlights were the ‘Singaporean style seafood noodles’, the ‘slow braised teriyaki beef’ and the ‘aka miso marinated salmon’. There are plenty of delicious sushi dishes on offer too. If you enjoy seafood and East Asian cuisine, this brunch is a must-try. Despite the brunch being full, the waiting staff were constantly on hand to make sure that drinks were topped up, and courses were served promptly. This didn’t appear to be something that was unique to our table: there were plenty of waiting staff available at the brunch and the table service appeared to run smoothly. Expect a sophisticated, well-heeled party crowd. For the best seats at the brunch, be sure to book outside on the terrace during the cooler months. Based on the sixth floor of Pier 7, the outdoor tables have some of the best panoramic views on offer in the city of Dubai Marina. Details: Brunch available from 2pm to 5pm each Friday. AED 295 with soft drinks, AED 395 with house beverages and 449 with bubbly. Address: Asia Asia, 6th Floor, Pier 7 Dubai Marina, Dubai, UAE. For more information click here.